The Florida Regional Councils Association (FRCA) is an alliance of Florida’s 10 Regional Planning Councils (RPCs) and serves to enhance regional collaboration throughout the state. Planning Councils are multi-purpose entities comprised of local governments that solve problems at the regional level and help communities grow. Foster relationships and partnerships and coordinate with state, regional, and national associations and organizations; non-profit entities; public-private partnerships; the Governor’s Office; state agencies; and others, on issues of mutual interest and concern, and with whom FRCA shares mutual goals and programs. FRCA is governed by a Policy Board. Each RPC selects from its membership two elected officials and one Governor’s appointee to serve on the FRCA Policy Board. The Policy Board meets twice a year to discuss issues affecting Florida’s RPCs, to share information with its partners and to set a legislative agenda. 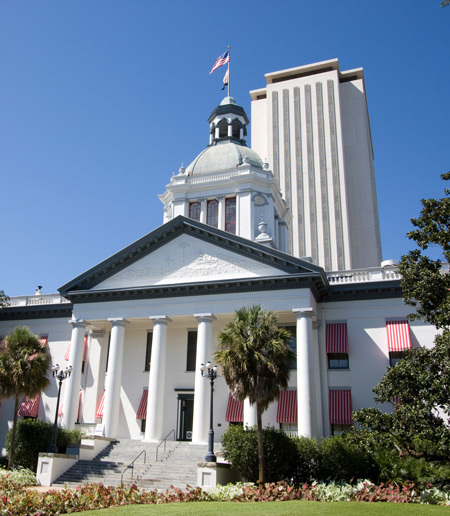 The FRCA Policy Board seeks support of the national regional agenda from Florida’s Congressional Delegation as well as support for state funding of RPCs to ensure their ability to carry-out state mandates and further economic development throughout their regions. The Policy Board also authorizes RPC participation in the Florida Economic Development Plan Stakeholders Group, which will lead to the creation of a statewide five-year strategic plan for the State of Florida; Rural Economic Development Initiative; State Emergency Response Commission; Safe Mobility for Life Coalition; Cooperative Conservation Blueprint; and Peninsular Florida Landscape Conservation Cooperative. The 10 RPC Executive Directors serve as an advisory body to the FRCA Policy Board. They come together eight times a year to meet as the FRCA Executive Directors’ Advisory Committee to coordinate statewide initiatives, meet with state agency senior level staff, and share best practices for management of regional planning councils. Together, our team oversees the affairs of the association; serves as an information source to the FRCA Policy Board and Executive Directors Advisory Committee on matters pertaining to legislative, state, and federal initiatives; and seeks to strengthen Florida’s Regional Planning Councils by creating an organizational culture that emphasizes quality, continuous improvement, and high performance.